7-day roundtrip Baltic Sea cruise from Warnemünde to Tallinn, St. Petersburg, Helsinki and Stockholm on board AIDAmar. Discover the best of Estonia, Russia, Finland and Sweden on this Baltic Sea cruise with AIDA Cruises. Each cruise line has their own unique way to pamper you and indulge your senses. There is always something to do onboard Aida cruise ship. Join AIDA Cruises on this Baltic Sea cruise from Warnemünde, Germany to Estonia, Russia, Finland and Sweden on board AIDAmar. 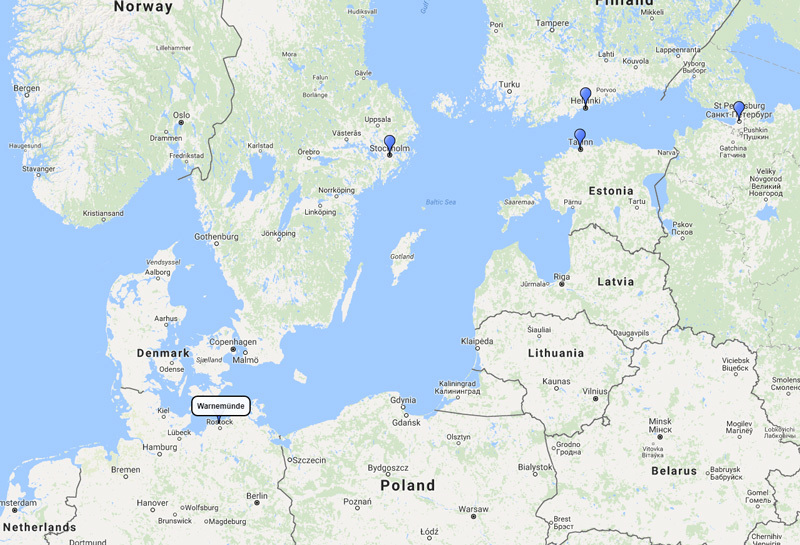 Visit Tallinn, St. Petersburg, Helsinki and Stockholm from Warnemünde. AIDAmar leaving Warnemünde, Germany for 7 nights from 7 July 2018.